Description: Prospero's Cell is the story of a young man's escape from a grey, industrialized England to a sunny Greek island. 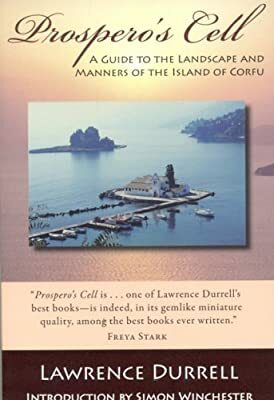 Durrell, later a world famous novelist, had it all: a new wife, a life of swimming, fishing, sailing, reading and writing, good food and wine, colorful new friends, and an historic island of captivating beauty. Then this enchanting idyll abruptly ends with the onset of World War II and evacuation to Egypt.